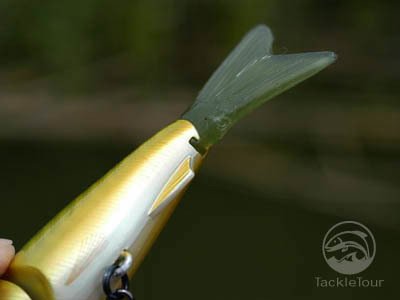 On the Hunt for an Oversized Slashing Type Minnow Lure? Check Out the FLT Zillva! 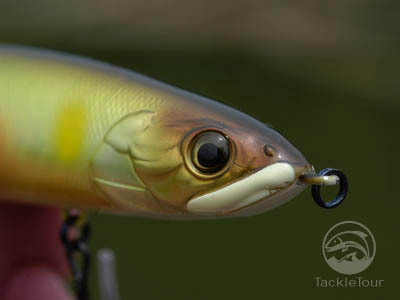 Introduction: If the swimbait craze is big in the United States, the plethora of oversized minnow lures coming out of Japan might be even bigger. 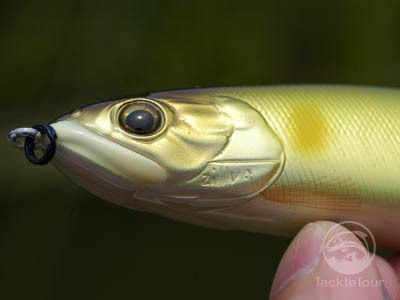 Flex Lure Technology, or FLT for short, is one of the more aggressive Japanese Domestic Market (JDM) lure companies in this market segment and one of their more intriguing offerings is the Zillva lipless minnow. 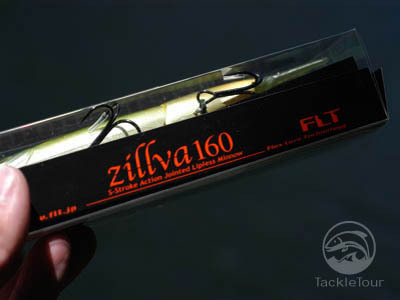 Impressions: If you're nervous about using the truly large swimbaits, but still want to sample the craze, the FLT Zillva is a nice place to start. As with most Japanese baits, the model numbers dictate, in millimeters, their overall length, so really, the 160 isn't all that much larger than say, a Lucky Craft Pointer 128sp. 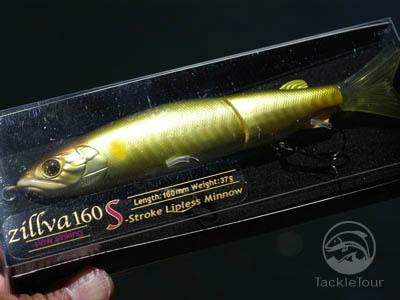 In fact, I wouldn't really consider the Zillva a swimbait at all, but since it is a term loosely applied to any oversized bait these days, that's what we're left with. The finish and construction quality of this bait is first rate. The joint, located about two-thirds down the length of the body is well concealed and still offers a decent degree of movement. The eyes have a very realistic appearance, and the hooks are incredibly sharp. 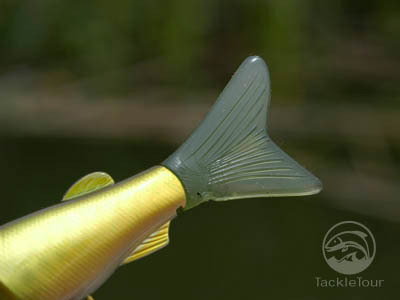 They come pre-packaged with little rubber tubes over the tip to protect the bait's finish during transport and storage. Out of the package, the Zillva is every bit of what I'd expect out of a $35 lure. The Field Tests: I fished both the 140 and 160 sized Zillva on one of two rigs: a Megabass F5 1/2-68XFti Diablo Slant Bridge, and a Megabass F4 1/2-68XFti Jabberwock Evoluzion. Both rods were matched with Daiwa I'ZE Millionaire Lite reels and were chosen due to their shorter lengths and ease in working baits of this nature. What nature is that you ask? Let's find out. 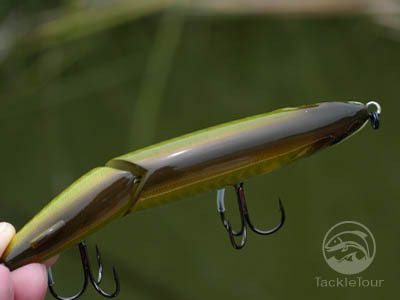 Casting: The aerodynamic profile of this bait coupled with its relatively hefty weight make it an easy bait to cast and place with accuracy. This is enhanced with the use of a rod under seven-feet and the reason I selected both the Diablo and Jabberwock Evoluzion to fish this lure. My target were the docks of Clear Lake and the edges of submerged weedbeds on the California Delta. Retrieving: This is where it all gets interesting. The Zillva sinks at an approximate rate of descent somewhere between a foot every one and a half to two seconds. It's a nice, slow descent. 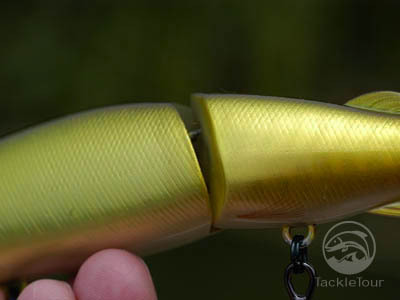 On a steady retrieve, the bait will swim in a tight s-pattern back to you. 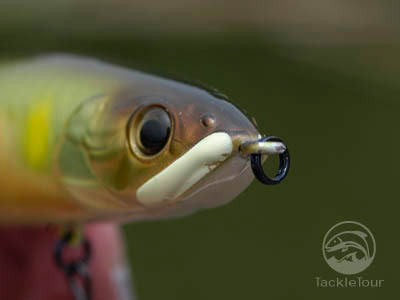 Twitch the tip of your rod and pause and it will slash from side to side, but twitch the tip of your rod consistently, as if you're working a cigar-shaped topwater lure and the Zillva does all sorts of crazy things! 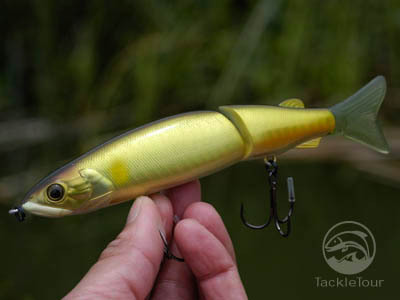 Working this bait in a clear, shallow cove of Clear Lake, California, it was plain to see, that if you begin your twitch within the first four feet or so of descent, the side to side slashing of the bait is made with a slight, head down angle both in position of the lure and direction of travel. Speed this pace a bit and mix in some inconsistent pauses and the bait can pull a whole three-hundred-sixty degree turn and loop underwater! This is a bait with some crazy action. But of course, action like that is not without its disadvantages too. 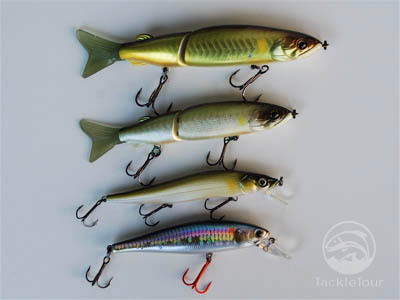 On many of those loops, turns, and side to side slashes, the line is an easy target for the baits hooks and it's easy to foul this bait underwater if you get carried away with trying to impart erratic action to its swimming pattern.